Nashville, Tenn. (September 22, 2015) – Sanctus Real will unveil Best Of Sanctus Real, their last project with lead singer Matt Hammitt, on October 9, 2015. Featuring 14 of the band’s top hits over their 20-year career, the compilation also includes the newly released single “Longer Than A Lifetime.” Delivering a total of seven studio albums with Sparrow Records, Sanctus Real has acquired eight No. 1 singles on multiple Christian radio formats, toured the globe alongside names such as TobyMac, MercyMe, NEEDTOBREATHE and more, while garnering two GRAMMY® nominations and a Dove Award win. In conjunction with their Best Of Sanctus Real release, the GRAMMY® nominated band will embark on a “Farewell To A Friend” tour this fall, kicking off October 7 in Iowa Falls, Iowa (see full tour routing here). “Longer Than A Lifetime” went for adds to Hot AC and AC stations nationwide on August 28. To hear more about the new single from Sanctus Real, click here. “We have a passion to use the platform of Sanctus Real to write new music that will continue to influence not just the church world, but reach well beyond anything we could imagine and offer hope to the lost and weary wherever they are,” explains Sanctus Real’s Chris Rohman. A full statement about what is next on the horizon for Sanctus Real can be read here. Internationally acclaimed Shadowlands Music recording artist Jean Watson is set to share music from her upcoming project, Steady My Gaze, on The Harvest Show on Thursday, September 24, 2015. NASHVILLE, Tenn. (September 22, 2015) – Internationally acclaimed singer/songwriter and classically trained violinist Jean Watson is slated to appear as a guest on LeSea Broadcasting’s flagship program, The Harvest Show, on Thursday, September 24, 2015. Watson will discuss and share music from her new album, Steady My Gaze, which is set to impact retail on Friday, October 9, 2015. The new project will be released on the Shadowlands Music label and will be distributed to retail by New Day Distribution. Fans can watch the show live at 9:00 a.m. ET or catch it online at harvest-tv.com. Steady My Gaze features an abundance of Celtic-infused violin, Watson’s signature haunting vocals, along with the special treat of stellar fret-work from master guitarist, Phil Keaggy and guest vocals from Tree63’s John Ellis. Watson’s innate energy once again explodes with tightly-focused control on the rocking “Burning Desire.” She continues to channel that control on the gently driving “Against Your Love.” The music takes a delightful, unexpected turn as Watson wraps her signature vocals around the beloved classic hymn, “Be Thou My Vision.” She imbues the song with rich textures and embellishments, making it truly her own. Joy takes center stage on Watson’s updated, up-tempo version of “Lord of the Dance,” but it is peace that settles over the project’s concluding contemporary hymn, “Trust His Hands.” She closes the project with a lovely, worship-filled acoustic version of “Overcome” that features her own pristine violin and acoustic guitar from Keaggy. Watson shared songs from Steady My Gaze as the musical guest for Christian Retailing‘s Best Awards during the recent International Christian Retail Show (ICRS) in Orlando, Florida, eliciting an outpouring of accolades from fans and industry insiders alike. NASHVILLE, Tenn. (September 21, 2015) – Few recording artists have had the impact and influence on the contemporary Christian music genre as GMA Hall of Famer John Schlitt. On Tuesday, September 22, 2015, the legendary vocalist will appear on the Cornerstone Television Network’s newly launched program, More Than A Song. 10:00 a.m. ET, followed by rebroadcasting at 9:00 p.m. ET or online at ctvn.org/watch-live. 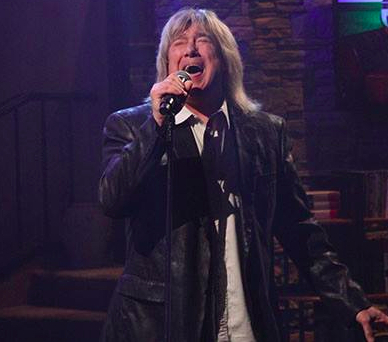 For more than four decades, John Schlitt has enjoyed a stellar musical career as a solo artist, as the lead singer for Grammy Award-winning Christian band Petra, one of the most successful Christian rock bands of all time, and as the former lead singer for popular ’70s mainstream rock band Head East. He has been inducted into the Gospel Music Hall of Fame as the lead singer of Petra during the years when the band won 10 Dove Awards and four Grammy Awards. Schlitt was named the best rock singer in Christian music history by GospelMusicChannel.com. According to the website, Schlitt “remains one of the most distinctive and impactful men to ever stand behind a microphone.” Schlitt was also named Male Vocalist of the Year in About.com’s 2011 Readers’ Poll in a category that included Chris Tomlin, Jeremy Camp, Brandon Heath and Bebo Norman. Schlitt released his fourth solo CD, The Greater Cause, in May 2012, and his first holiday record, The Christmas Project, last year. The legendary vocalist’s busy schedule has included appearances on The Mike Huckabee Show, 700 Club Interactive and the Faith & Freedom Celebration–the faith-based kick-off to the Republican National Convention, as well as extensive international touring. 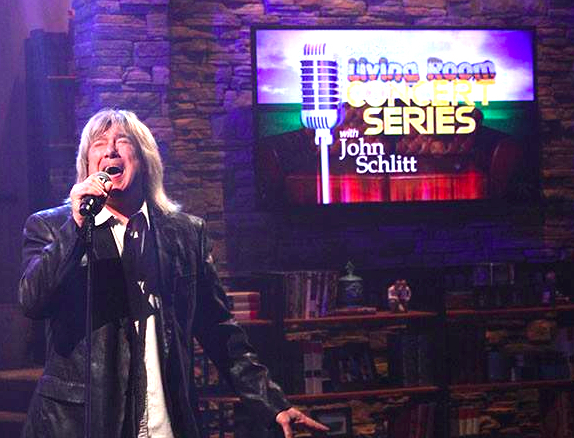 For more information on Schlitt, visit johnwschlitt.com or follow him on Twitter (@johnwschlitt) or Facebook (facebook.com/johnwschlitt). Cornerstone Television Network’s innovative new show, More Than A Song, allows viewers to get up close and personal with their favorite Christian music artists as they share the stories behind the songs and the “God Story” in every note of their music and their testimonies. More Than A Song is designed to inspire, encourage and entertain! Cornerstone Television Network is a viewer-supported ministry that reaches 5.8 million homes in the U.S. and and throughout the Western Hemisphere. Airing 24 hours a day, seven days a week, Cornerstone Television Network programs are broadcast to more than 100 affiliate stations nationwide through SkyAngel and Glorystar, as well as online at ctvn.org. One of today’s most influential worship leaders, songwriters and artists, Paul Baloche, releases Christmas Worship Vol. 2 globally Oct. 2 through Integrity Music. The album features Christmas classics seamlessly married with vertical worship lyrics, and is an extension of Baloche’s 30-year mission in ministry to equip worshipers and worship leaders with songs and resources that help them express glory to God. For singer/songwriter Paul Baloche, writer of worship standards like “Open The Eyes Of My Heart,” “Hosanna,” “Our God Saves,” “Your Name” and “A New Hallelujah,” Christmas is a season of worship. With Christmas Worship, Baloche is aiming higher than nostalgia; higher than recreating the sounds of the season. Another highlight on Christmas Worship Vol. 2 is “When Love Crossed Over,” a new song written by Baloche’s wife Rita and performed by Madison Cunningham, a young Calvary Chapel worship leader and daughter of Costa Mesa worship pastor Scott Cunningham. In addition, the traditional “Silent Night” gets the Baloche family treatment, with Rita and their son David (who also plays guitar on the project) joining Paul on vocals. In addition to the new album, Baloche’s touring/workshop/teaching schedule takes him around the world. Having recently returned from a concert/workshop in Manilla (Philippines) followed by the Experience Conference in Orlando, he will host “LeadWorship” workshops beginning today in Portland (Sept. 18-19) and in Fairfield, CT (Oct. 30-31). He will also be featured at a “Christmas In September: A Conversation With Paul Baloche” Multitracks webinar Tuesday, Sept. 22 beginning at 2pm CT. Following a workshop and concert in Issaquah, WA (Nov. 13-14), Baloche travels back overseas to The Netherlands and the United Kingdom before returning to North America for a series of Canadian Christmas events to begin Dec. 1. All the latest tour news can be found at http://www.leadworship.com/calendar/. Best known for such modern classics as “Open the Eyes of My Heart,” “Above All,” “Hosanna” and “Your Name,” three-time Dove Award-winning Paul Baloche has had his songs recorded by numerous artists, including Michael W. Smith, Casting Crowns, Matt Redman and Philips, Craig & Dean. In addition to writing, recording and touring, Baloche has created a variety of teaching DVDs, along with many free resources designed specifically for worship leaders and musicians. He has also written the books, The Same Love: A Devotion(David C Cook) and God Songs–How to Write and Select Songs for Worship. He is further a contributing writer for both Worship Leader and Worship Musician magazines and is a featured blogger on ChurchLeaders.com. For all the latest information on Paul Baloche, Christmas Worship, touring and more, visit http://leadworship.com, www.integritymusic.com, https://twitter.com/paulbaloche and https://www.facebook.com/PaulBaloche, where Baloche has over 1.3 million followers. Integrity Music is part of the David C Cook family, a nonprofit global resource provider serving the Church with life-transforming materials. Headquartered in Colorado Springs, Colorado, and with offices in Tennessee and the United Kingdom, Integrity is committed to taking songs of substance to the local church and its leaders around the world. Integrity publishes many of the top songs in the Church, including the No. 1 radio hit “We Believe” (Newsboys) as well as church standards “Revelation Song,” “Open The Eyes Of My Heart,” “Your Great Name” and “I Am Free.” Additional information can be found at www.integritymusic.com. Big Daddy Weave’s “My Story Tour” kicks off today in Quincy, Ill.
Nashville, Tenn. (September 17, 2015) — Big Daddy Weave’s seventh studio album Beautiful Offerings is available tomorrow, September 18, 2015, and is already receiving incredible acclaim. Critics are saying Beautiful Offerings “demonstrates once again the passion and energy that have made Big Daddy Weave one of Christian music’s most compelling acts,” (NewReleaseToday.com), saying it is packed with “rich, melodic hooks with thought-provoking and worshipful writing” (CCM Magazine). “Beautiful Offerings is only eclipsed by the amazing and inspiring character of the men that make up Big Daddy Weave…Beautiful Offerings will be impacting radio and retail for years to come. To hear Big Daddy Weave talk more about the heart behind Beautiful Offerings, check out these features with Moody Radio and Worship Leader. Watch for a feature with 100 Huntley Street to air tomorrow on Global TV and YES TV, also available on 100huntley.com. Click here to preorder the album. Big Daddy Weave’s “My Story Tour” kicks off today in Quincy, Ill. The tour will make 27 stops across the U.S. and will feature special guests Jason Gray and Citizen Way. For tickets and updated tour information, click here. Big Daddy Weave is one of the top artists in Christian music: they are one of the genre’s biggest headlining artists, the second most played artist at Christian AC-Monitored radio in 2014 and the recipient of multiple industry awards and nominations, including: Dove Awards, K-LOVE Fan Awards, Billboard Music Awards and ASCAP Awards. With a brand-new studio album, entitled Beautiful Offerings, coming September 18, 2015, the band’s latest and career best-selling album, Love Come To Life, celebrated four consecutive No. 1 singles along with recent news that “Redeemed” has been certified gold by the RIAA. Big Daddy Weave has career album sales of more than one million units. Formed in 2002, Big Daddy Weave is: Mike Weaver, Jay Weaver, Jeremy Redmon, Joe Shirk and Brian Beihl. More information can be found online at www.bigdaddyweave.com. Nashville, Tenn. (September 17, 2015) —- Centricity Music’s, Jordan Feliz, will release his debut project for the label, Beloved, October 2nd. The former mainstream rock artist delivers a soulful 10 song album, produced by Joshua Silverberg (Michael W. Smith, Audio Adrenaline) and Colby Wedgeworth (Lincoln Brewster, The Maine), with the Song Sessions produced by Jared Fox. Feliz brings a fresh, mainstream sound with Christian lyrics that is resonating with fans and radio everywhere. The first single, “The River,” is already receiving airplay on 65 stations that include, SiriusXM, WFHM/Cleveland, OH, KFMK/Austin, TX, WAYM/Nashville, TN, KXOJ/Tulsa, OK and WBSN/New Orleans. Beloved will be released digitally only, with the single now available on iTunes. For continued updates on Jordan: www.jordanfeliz.com, www.facebook.com/jordanfelizmusic, www.twitter.com/jordan_feliz. 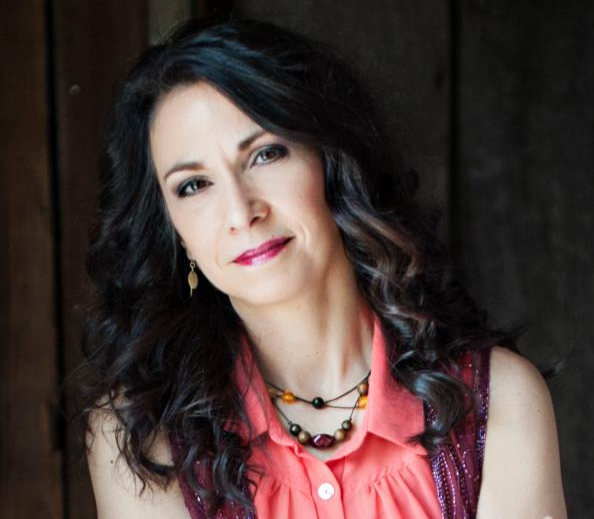 September 11, 2015 (Nashville, Tenn.) – Christian entertainer Julie Elias releases her new CD, “Unbroken,” today. The upbeat, high energy collection of original songs features “Home,” the first single from the CD which currently is being played at Christian INSPO/Soft AC and Christian AC-formatted radio stations. The CD release coincides with Elias performing at the Experience Conference and other events in Orlando, Florida, this week. Topics for the songs on the CD range from bullying to romantic relationships to consequences, all aimed at connecting to issues facing young people. “Home,” the first single, focuses on how good it feels to go home after a busy day at school or work, or come home from college at the end of a long semester. Elias has included two special selections on the 12-track CD. “The Love of the Lord Endures” is Elias’ rendition of a beloved Joy Williams song that Elias sang in church as a teenager. The other bonus track on the CD is titled “It Is Well,” a worship song by Bethel that ties into Elias’ favorite hymn of the same name. Elias is set to tour throughout the Fall in support of her new CD, as well as lead Aurora Conferences, a day-long event blending drama, music and special speakers developed by the former “Grey’s Anatomy” actress especially for girls in grades 6-12 and their mothers. Although Elias studied music theater in college, the California native never envisioned a career as a singer, choosing, instead, to move to Los Angeles to pursue acting. She quickly secured roles in popular TV series, such as “Grey’s Anatomy” and “CSI: NY,” as well as in films with the likes of Tom Hanks and Julia Roberts. The success she found in Hollywood, however, left her unfulfilled. Within months, Elias was writing and recording her first album, “A Wild Rose,” and singing at the Experience Conference in Orlando. In the past few years, she has released a Christmas album, fronted her own Christmas tours, sang at major Christian festivals and conferences, and worshipped with many churches throughout North America. In August 2014, Elias released a worship album titled “Love Rain Down” featuring upbeat, energetic worship songs that Elias has performed at student events throughout the nation. Elias founded Aurora Ministries, a 501(c)3 that produces the Aurora Conferences, last year. For more information about Elias and “Unbroken,” visit julieeliasmusic.com. 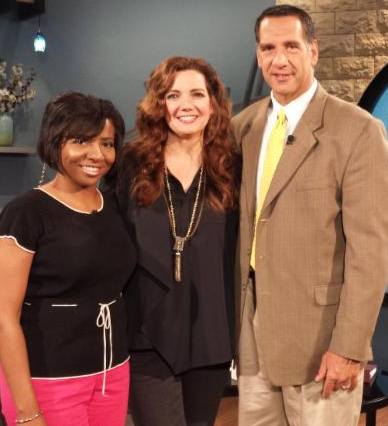 NASHVILLE, Tenn. (September 10, 2015) – Dove Award winner Cheri Keaggy recently appeared as a guest on LeSea Broadcasting’s flagship program The Harvest Show, where she discussed her new album, No Longer My Own, which released to retail August 7, from Psalm 91 Records and Elevate Entertainment. The project is the popular singer/songwriter’s ninth full-length CD to date. The Harvest Show reaches more than 46 million North American homes through 13 LeSea affiliate stations, including Denver, Tulsa, Okla., Honolulu, Colorado Springs, Colorado, and New Orleans. Fans who missed the live broadcast can watch Cheri’s appearance on the Internet at The Harvest Show’s website, harvest-tv.com. Cheri Keaggy began her career as a worship leader at a small church in Southern California before recording her debut album on Sparrow Records, Child of the Father, in 1994. Honored with a Dove Award nomination for New Artist of the Year, Keaggy has gone on to record eight additional albums, resulting in nine No. 1 songs, three Dove Award nominations and a Dove Award win. After more than two decades in music, her ministry has expanded to include speaking engagements as well. Her latest project, No Longer My Own is now available from Psalm 91 Records and Elevate Entertainment. For more information about Keaggy and No Longer My Own, visit cherikeaggy.com. Like Keaggy on Facebook (facebook.com/CheriKeaggy) or follow her on Twitter (@cherikeaggy). For booking inquiries, contact New Hope Management (newhopemanagement.com), Michael Lederer at michael@newhopemanagement.com / 972-862-6160 or in Nashville at 615-818-0710. LeSea Broadcasting Network, with studios in South Bend, Indiana, reaches more than 46 million North American homes through 13 LeSea affiliate stations, including Denver, Tulsa, Okla., Honolulu, Colorado Springs, Colorado, and New Orleans. Worldwide, LeSea has an audience of more than 78 million in Europe and Africa, also reaching 73 million homes in the Middle East and 8 million homes in Argentina. The Harvest Show is available through satellite TV, Channel 367 on DirecTV and on the Internet. For more information on The Harvest Show or to watch online, visit harvest-tv.com. 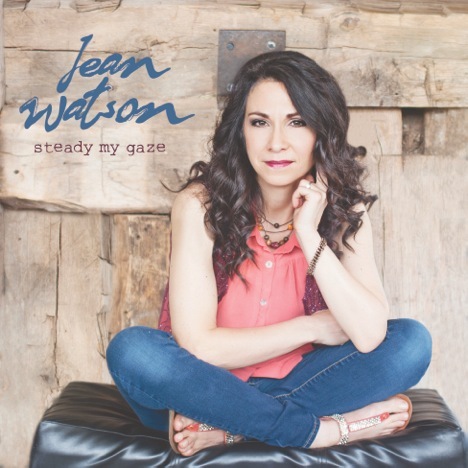 Internationally acclaimed Shadowlands Music recording artist Jean Watson is set to release her seventh full-length project, Steady My Gaze, on Friday, October 9, 2015, through New Day Distribution. NASHVILLE, Tenn. (September 10, 2015) – Internationally acclaimed singer/songwriter and classically trained violinist Jean Watson has been hard at work in the studio prepping the release of her seventh full-length project, Steady My Gaze. The project, which is set to impact retail on Friday, October 9, 2015, will be released on the Shadowlands Music label and distributed to retail by New Day Distribution. Internationally acclaimed singer/songwriter and classically trained violinist Jean Watson’s upcoming CD, Steady My Gaze, is due out on Friday, October 9, 2015, through Shadowlands Music and New Day Distribution. She has been honored four times as the Best Female Praise and Worship Artist USA by the UK Christian Music Alliance. Watson can be heard worldwide on UCB Radio Ireland where she hosts a daily inspirational radio show, and when she is not on the road she plays violin in the Kalamazoo (Michigan) Symphony. Watson has appeared on The 700 Club, TBN’s Praise The Lord, Cornerstone Television Network’s flagship show, Real Life, LeSea TV’s The Harvest Show, CTN’s Bridges and many more media outlets across the globe. NASHVILLE, Tenn. (September 9, 2015) – Few recording artists have had the impact and influence on the contemporary Christian music genre as GMA Hall of Famer John Schlitt. The legendary vocalist, who fronted the Grammy Award winning rock band Petra and Gold selling mainstream band Head East, is scheduled to appear live Thursday, September 10 on Cornerstone Television Network’s flagship show, Real Life. appearance at 9 a.m. E.T., followed by rebroadcasting at 1 p.m., 8 p.m. and 1 a.m. E.T. or online at ctvn.org. While visiting the Cornerstone studios, Schlitt will also tape an intimate concert for the network’s unique Living Room Concert Series, which is slated for broadcast on Saturday, September 12, 2015 at 6:00 p.m. EST (airdate subject to change; see local listings). To view the episode online, visit ctvn.org/watch-live. Cornerstone Television Network is a viewer-supported ministry that reaches 5.8 million homes in the U.S. and throughout the Western Hemisphere. Airing 24 hours a day, seven days a week, Cornerstone Television Network programs are broadcast to more than 100 affiliate stations nationwide through SkyAngel and Glorystar, as well as online at ctvn.org. Cornerstone Television Network’s flagship program, Real Life, is a unique Christian television show that combines music, interviews, and engaging weekly segments. “Our goal is to entertain and inspire both people who attend church and those who don’t,” states Cornerstone’s president, Don Black. Veteran contemporary Christian music artists artists share their most loved songs and stories in an intimate ‘living room’ setting on Cornerstone’s Living Room Concert Series. 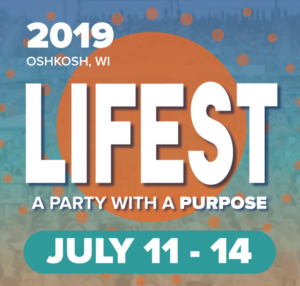 Each program in the special series is different, and features special guests such as Phil Keaggy, Billy Sprague, Randy Stonehill, Bryan Duncan, Larnelle Harris, Ginny Owens and others.